Jury Research Speaking Engagements - Recent Media Commentary on Jury Issues | National Legal Research Group, Inc.
Dr. Frederick provides commentary on jury issues for various media outlets. Here are some recent examples. Maxine Bernstein, Prosecutors Take Unusual Move to Hire Jury Consultant in 2nd Oregon Standoff Trial, The Oregonian/Oregon Live (February 14, 2017). Tim Rogers, We’re About to Entrust the Presidency to a Man Experts Say is Unfit for Jury Duty, Fusion.net (January 16, 2017). Tony Maxwell, Jury Selection Starts in Trial of Charleston Church Shooter, Citizen-Times: Part of USA Today Network, (November 5, 2016). Jonathan Edwards, Juror's Posts About Thugs, Black Lives Matter Went Unnoticed Before Norfolk Officer's Trial, The Virginian-Pilot (October 22, 2016). Corinne Ramey, Jury Picked in George Washington Bridge Case, Wall Street Journal (September 14, 2016). Maxine Bernstein, Trial for Ammon Bundy, 6 others in Oregon Standoff Set to Begin, The Oregonian/Oregon Live (September 6, 2016). Sudhin Thanawala, Judge Reignites Debate Over Researching Jurors Online, AP: The Big Story (July 16, 2016). Josephine Wolff, Is a Little Technical Knowledge a Dangerous Thing?, Slate.com (March 24, 2015). Jason Sickles, Legal Experts Warn of Stealth Jurors Infiltrating Colorado Movie Theater Shooting Trial, Yahoo.com and Yahoo News.com (January 21, 2015). The following are a few of the articles and books citing Dr. Frederick’s work. Thaddeus Hoffmeister, Google, Gadgets, and Guilt: Juror Misconduct in the Digital Age, 83,Univ. ofColo L. Rev. 409 (2012). Adam Hoskins, Armchair Jury Consultants: The Legal Implications and Benefits of Online Research of Prospective Jurors in the Facebook Era, 96Minn. L. Rev. 1100 (2012). Frederick, J. T., How to be More Effective in Jury Trials: Advanced Voir Dire, Jury Selection, and Persuasion Techniques, Alaska Bar Association, Anchorage, Alaska, March 3, 2017. Frederick, J. T., Navigating Today’s Jury Trial Environment: Voir Dire, Jury Selection, and Internet Issues, American Board of Trial Advocates (ABOTA-Alaska), Anchorage, Alaska, March 4, 2017. Frederick, J.T., How To Be More Effective in Jury Trials: Advanced Voir Dire, Jury Selection, and Persuasion Techniques, Civil Division, Department of Justice, Washington, D.C., October 26, 2016. Frederick. J. T., Jury Research and Jury Selection, The Etheridge Society Annual Meeting, Charlottesville, Virginia, October 7, 2016. Frederick, J.T., Voir Dire and Jury Selection, Public Integrity Section, Department of Justice, Washington, D.C., October 3, 2016. Frederick, J.T., Mastering Voir Dire and Jury Selection, Kentucky Prosecutors Institute, Lexington, Kentucky, April 26, 2016. Frederick, J.T., Being More Successful in Jury Selection, Kentucky Prosecutors Institute, Lexington, Kentucky, April 27, 2015. Frederick, J. T., Mastering Jury Selection, Virginia Association of Criminal Defense Lawyers, Charlottesville, Virginia, October 17, 2014. Frederick, J. T., Voir Dire. 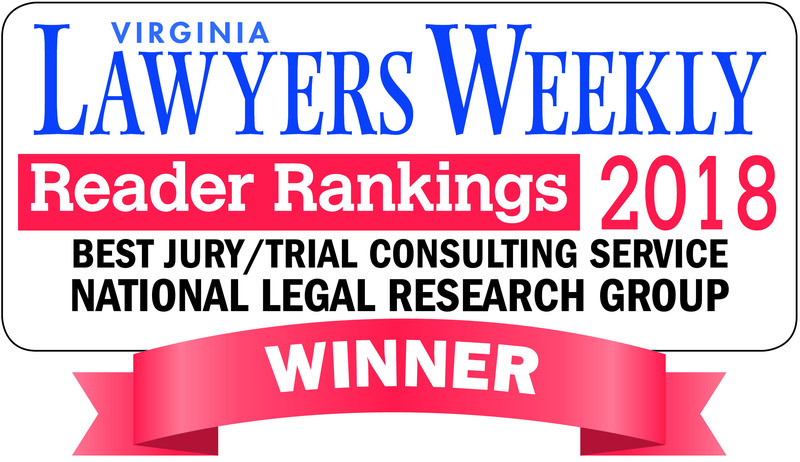 Virginia Trial Lawyers Association, Richmond, Virginia, September 23, 2014. Frederick, J. T., Why Jury Selection Can Make Your Case and What Jury Consultants Can Help You Do About It, Virginia Trial Lawyers Association, Fairfax, Virginia, October 10, 2013. Frederick, J. T., Voir Dire, Jury Selection, and Persuasion, Richmond Bar Association, Richmond, Virginia, October 3, 2012. Frederick, J. T., Jurors and the Internet: Threats, Opportunities and Solutions, Judicial Conference of Virginia, Norfolk, Virginia, May 15, 2012. Frederick, J.T., Jury Selection and Persuasion, Presented at the United States Attorney’s Office for the District of Columbia, Washington, D.C., October 25, 2012. Frederick, J.T., Internet Issues in Jury Trials, Presented at the United States Attorney’s Office for the District of New Jersey Seminar, Newark, New Jersey, February 3, 2012. Frederick, J.T., You, the Jury, and the Internet. Inn of Court, Charlottesville, Virginia, January 13, 2011. Frederick, J.T., Jury Selection and Other Issues: What You Need to Know. United States Attorney’s Office Western District of Tennessee Seminar, Memphis, Tennessee, October 19, 2010. Frederick, J.T., Jurors and the Internet and Juror Questionnaires: What You Need to Know, Arkansas Trial Lawyers Association, September 24, 2010. Frederick, J. T. You, the Jury, and the Internet. American Inn of Court, Charleston, West Virginia, March 16, 2010. Frederick, J.T., Jury Selection and Persuasion. Marion County Prosecutor’s Office, Indianapolis, Indiana, October 12, 2009. Frederick, J. T. Using a Trial Consultant: Choosing and Persuading a Jury in a Corruption Case. Public Corruption Seminar sponsored by the Public Integrity Section of the Department of Justice, National Advocacy Center, Columbia, South Carolina, October 29, 2008. Frederick, J. T. Voir Dire and Jury Selection in Capital Cases. Capital Litigation: Death Qualification Seminar for the National District Attorneys Association, Columbia, South Carolina, July 8-9, 2009. Frederick, J. T. Voir Dire and Jury Selection, Memphis Bar Association Voir Dire: Law and Psychology Seminar, Memphis, Tennessee, August 27, 2008. Frederick, J. T. Jury Selection and Persuasion. United States Attorney’s Office Seminar on Jury Selection (District of Columbia), Washington, D.C., May 8, 2008. Frederick, J. T. Ten Commandments of Voir Dire and Jury Selection, Masters of the Courtroom, New Orleans Bar Association, New Orleans, Louisiana, December 13, 2007. Frederick, J. T. How to Be More Effective in Jury Selection and Voir Dire. Prosecutor and the Jury Course, National College of District Attorneys, Columbia, South Carolina, June 11, 2007. Frederick, J. T. How Jurors React to Experts, A Survivor’s Guide to Expert Witnesses: From Selection Through Trial, Virginia Continuing Legal Education, Fairfax, Virginia, June 7, 2007. Frederick, J. T. The Bottom Line–What the Jury Thinks, Crittenden Medical Insurance Conference, Phoenix, Arizona, May 4, 2006. Frederick, J.T. Ten Commandments of Voir Dire and Jury Selection, 19th Annual Emanuel Emroch Lecture (panel) Virginia Bar Association, Richmond, Virginia, March 30, 2006. Frederick, J.T. Ten Commandments and Other Considerations for Voir Dire and Jury Selection, Criminal Law Section Meeting of the Virginia Bar Association, Williamsburg, Virginia, February 10, 2006. Frederick, J.T. Ten Commandments and Other Considerations for Voir Dire and Jury Selection, Criminal Law Section Meeting of the Virginia Bar Association, Charlottesville, Virginia, February 3, 2006. Frederick, J.T. Medical Malpractice Trials: Use of Small Group Research and Preparation of the Physician Witness, Virginia Association of Defense Attorneys Annual Meeting, Fairfax, Virginia, October 27, 2005. Frederick, J.T. Preparing for Voir Dire–An Overview, Virginia Association of Defense Attorneys Annual Meeting, Fairfax, Virginia, October 27, 2005. Frederick, J.T. Mastering Voir and Jury Selection. American Bar Association Annual Meeting, Chicago, Illinois, August 6, 2005. Frederick, J.T. How to Get the Truth at Voir Dire. Virginia Trial Lawyers Advanced Auto Retreat, Charlottesville, Virginia, July 16, 2005. Frederick, J.T. How to Get the Most from Jury Consultants. Virginia Trial Lawyers Advanced Auto Retreat, Charlottesville, Virginia, July 15, 2005. Frederick, J.T. The Ten Commandments of Jury Selection: (De)Selecting the Perfect Jury. Virginia College of Trial Advocacy, Williamsburg, Virginia, May 20-21, 2005. Frederick, J. T. Recognizing and Preventing the $10 Million Verdict! Crittenden Medical Insurance Conference, New Orleans, Louisiana, May 6, 2005. Frederick, J. T. The Psychology of Picking a Jury: Information Gathering During Jury Selection-- Barriers and Solutions. North Carolina Academy of Trial Lawyers Association, Raleigh, North Carolina, January 28, 2005.